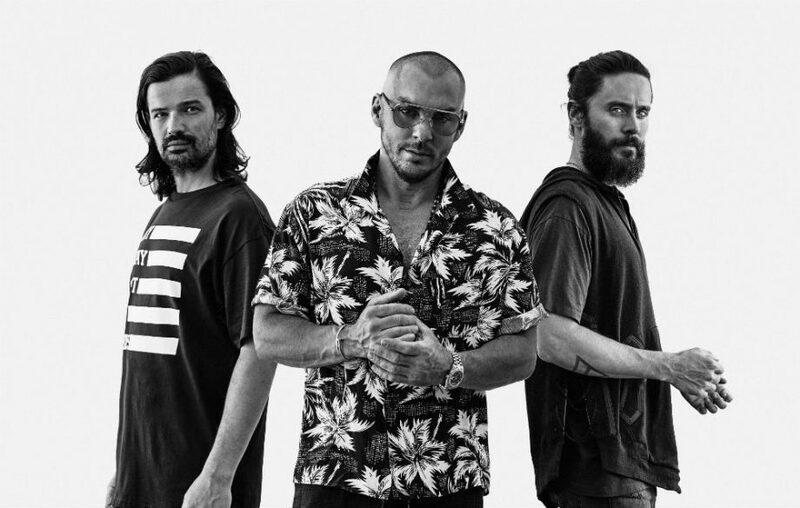 Thirty Second to Mars unveiled the music video for "Rescue Me," featuring a montage of people expressing various emotions in tight close-up shots. The song appears on their fifth album America, which was released in April. "'Rescue Me' is a song about pain, a song about empowerment, a song about faith and a song about freedom," singer Jared Leto said in a statement. "It's also a song about the brutal war so many of us wage against fear, depression and anxiety in the hope that we might, one day, live a life filled with happiness and dreams." "None of us are 'OK' all the time. And there shouldn't be a stigma when we aren't. Both my brother and I have had our own intense personal battles and it has, and continues to be, life changing," he added. "I try to remember the darkest days await the brightest and most rewarding moments. And that change is always around the corner." I want to thank everyone for being so brave, selfless and vulnerable in this video. The emotion and honesty shared impacted me greatly and I hope it does that same for you all. I am very proud and grateful to have worked with one of my heroes - the master filmmaker and director Mark Romanek. Its the first time in 13 years I havent directed our videos. It was a gift to have him carry the weight so graciously and deliver something so profoundly simple and beautiful. "Whatever it costs, follow your dreams"
"There's no easy way to say it, so I thought, I'll just say it, I'm not part of Thirty Seconds to Mars anymore," he says, dropping the bomb. This is followed by a tribute to the past 15 band years: "Most of all, I want to thank Jared and Shannon for the privilege of allowing me to be a small part of their dream and sharing the stage with them for so long," Milicevic writes and then, in an unfinished sentence, gives a small hint to the reason for his departure: "Thank you for giving me the chance to live one of my own dreams ..." To his fans he gives the following lines: "Believe Whatever it costs, pursue your dreams. My spirit will never leave the band. "